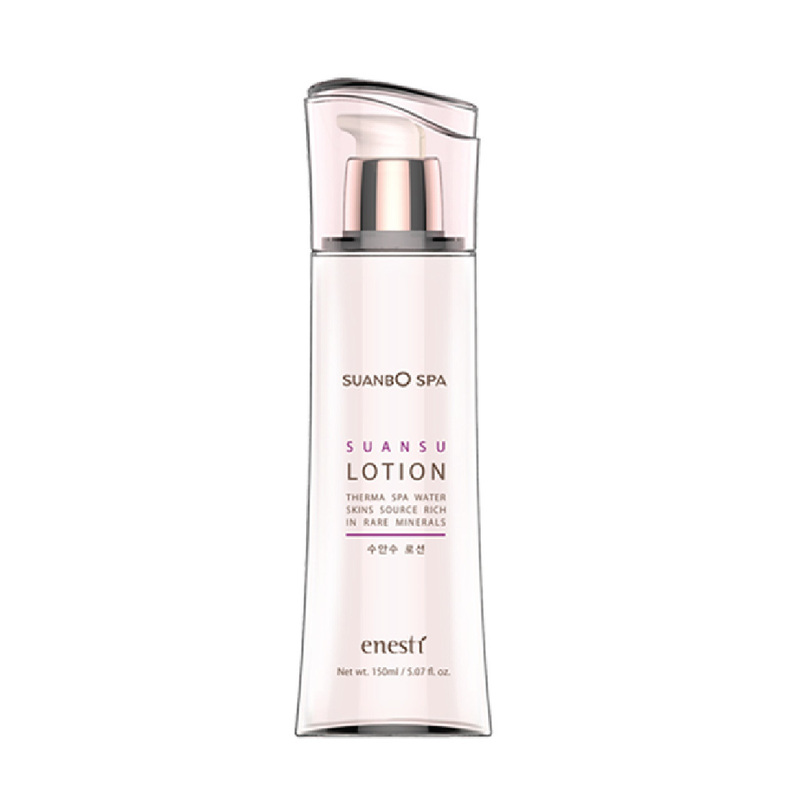 Enesti Suansu Spa Lotion 150ml – HAIRDEPOT - Hair & Scalp Care Products, Prevent Hair Loss, Shampoo, Conditioner, Treatment, Styling, Appliances and more! This is a nourishing milky emulsion containing 30% subalkaline (pH 8.3) water from ‘‘SUANBO’’ Hot Springs from 250m bedrock with water temperature of 53℃. It is the first of its kind in Korea to use spring water rich in natural effective ingredients, dipotassium glycyrrhizate, purslane extract, and hydrolyzed collagen to recover clear energy for dry and fatigued skin while providing nutrients and resilience deep into skin.